In the article Andy covers 3 main topics to consider before you arrive at the interview. 2 – In terms of advice, this is from those who know more about the company than you do. Use those who helped you land the interview to get the inside scoop as much as you can. Don’t go in blind folded. 3 – The job description contains a host of information around the types of questions both the interviewer and you should be asking. Focus on what it is they are looking for and be prepared to tailor your past experience around what is important in the job they are looking to fill. Hiring managers are looking to hire the top people for open positions. By arriving prepared to have a business conversation around the open position, you will rise above the noise and be remembered. Those who show up unprepared are quickly forgotten. I started my journey in B2B sales and marketing 31 years ago as a butter salesman. I can assure you I didn’t go to college to be a butter salesman but in 1981 times were tough and decent entry-level positions were scarce. Fortunately people still eat during severe economic recessions so food manufacturers were still hiring. 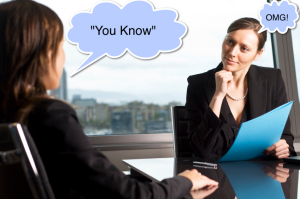 An interesting twist is to go into an interview considering your primary role is to sell your skills and capabilities. Lets start with the definition of a “sale”. According to wiki: A sale is the act of selling a product or service in return for money or other compensation. Considering we are going into an interview with the desire of landing a new job with a pay check, based on the definition, to interview is selling. The objective of the interview is to sell our “capabilities” as a new employee. Now let’s use street-smarts to figure out what role we need to play during the interview process.